These days it's best to control as much as you can of the device production process. According to an article in The Korea Times, LG is prepping up to make yet another move in this direction, by starting to create their own chip designs, in a way similar to Apple. The similarity comes from the fact that, like Apple, LG plans to only design its future chips, but leave the actual manufacturing to other companies which specialize in that, like TSMC. LG has already licensed ARM's Cortex-A15 CPU and Mali-T604 GPU, so it's reasonable to think that the first LG-designed processors will be based on these technologies. 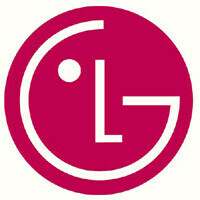 According to the source, LG is to design chips to be used in smartphones and smart TVs. The first LG chip, dubbed H13, is expected to be unveiled at next year's CES. If you're wondering what this 'H13' name is supposed to mean, well, "H" reportedly stands for Home Entertainment, while "13" is the year of introduction. Apparently, the first LG SoC is more likely to end up in a TV, rather than a smartphone. I think is smart from LG. Making chips will help you optimise hardware and software which SS and Apple understand very well. Great move by LG.they are trying to give serious competition to Galaxy S4. Even Sony,HTC should try taking this way. I seriously hope they don't use the Mali-T604 GPU, when the Mali-T624 GPU is there already for the taking with a similar die size and 50% of performance increase. I hope they will use the latest PowerVR graphics. But I guess it's unlikely.